Rix Distillery! : FYI: Free College! Background: After she retired, my mother attended college as a senior, tuition free, in Texas. Her writing class resulted in an autobiography that she published privately: Give Me A Broom to Sweep Away the Cobwebs of My Mind, available from Amazon. 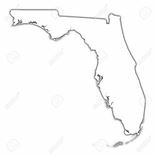 When I was my early 60s, I discovered that Florida offers a similar perk to "seniors:"
Free tuition for Florida public colleges and universities! The exact statute says "A state university may waive any or all application, tuition, and related fees for persons 60 years of age or older who are residents of this state and who attend classes for credit. No academic credit shall be awarded for attendance in classes for which fees are waived under this subsection. This privilege may be granted only on a space-available basis, if such classes are not filled as of the close of registration. A university may limit or deny the privilege for courses which are in programs for which the Board of Governors has established selective admissions criteria. Persons paying full fees and state employees taking courses on a space-available basis shall have priority over those persons whose fees are waived in all cases where classroom spaces are limited." Here is a list of universities and colleges. The SPC Clearwater campus is just over a mile away from where I live, and that's where I started. I went online and completed the application for admission. It had a one-time fee of $48 for this. On the last day of fall registration in 2014, I went to the SPC campus and enrolled in two daytime classes: Journalism (at the Tarpon Springs campus) and Stage Management (at the Clearwater campus). The Journalism class had an English I or English II prerequisite, but I was able to contact the department head and the prerequisite was waived when I explained my goals. I took the bill to the business office. They had me complete a form and show my driver's license (I assume for age & residency). The cashier waived $600 of tuition, and I only had to pay $18. It seems SPC has a $3-per-semester-hour fee of some sort. Neither class required a textbook. For a total $18 I was enrolled in instructor-led daytime college classes! The following spring I signed up for World Lit and Photography. The photography class had a $85 lab fee, and I found books for around $25. My total bill for my second semester was under $130.. I had another $600 of tuition waived. The classroom hours I picked were great. I was in different classes 10:15 to 11:30 Monday through Thursday. The social environment was valuable for academic discussions. SPC has a non-traditional collection of students. In one class the person sitting in front of me was in his late 30s, to my left was a high-school senior getting a head start in college, and in the back row was someone about my age. I regret not having deeper pockets. SPC offers "study abroad" courses: a theatre class in London, religion classes in India, immersive Spanish classes in Spain, and Lit classes in Greece & New Zealand..
You must be age 60 or older. Only tuition is waived. Students must still buy books and pay lab fees. Even though registration may be open for several weeks, you can only enroll tuition-free on the last day so paying students can have first choice. You may take classroom or Internet courses, day or evening classes. You don't have declare a degree program, so you can take whatever courses interest you. You don't have to matriculate. This means you don't have to chase down all your old transcripts! You can, of course, if you need to satisfy a prerequisite. At USF you can only audit courses, but at SPC you can choose to take the classes for credit.